It smells like a barn. I am not a farmer, but you’d think I’m raising sheep if you came over. 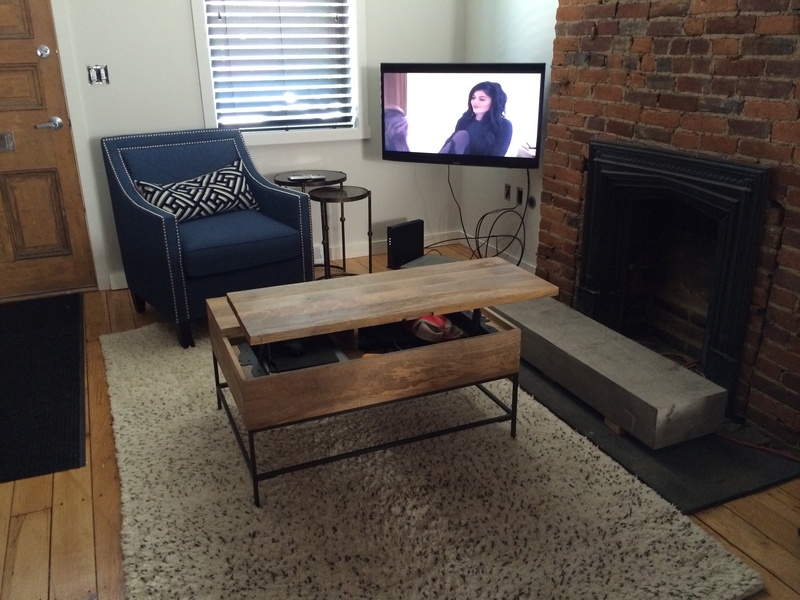 Yep, we’ve got a “barn-like” quality to our living room. 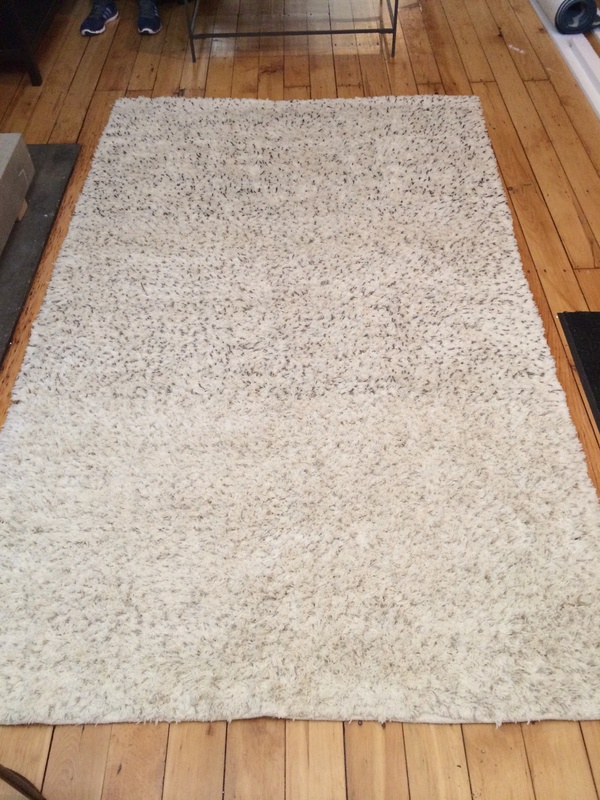 The rug has been all wrapped up and sitting in a West Elm warehouse for months. The customer service lady told me it just needs to air out. I hope it airs out before next weekend because I’m having company over and I don’t want our guests to think I’m going to serve them hay. We’re also working like mad men to get our dining room completed before next weekend! 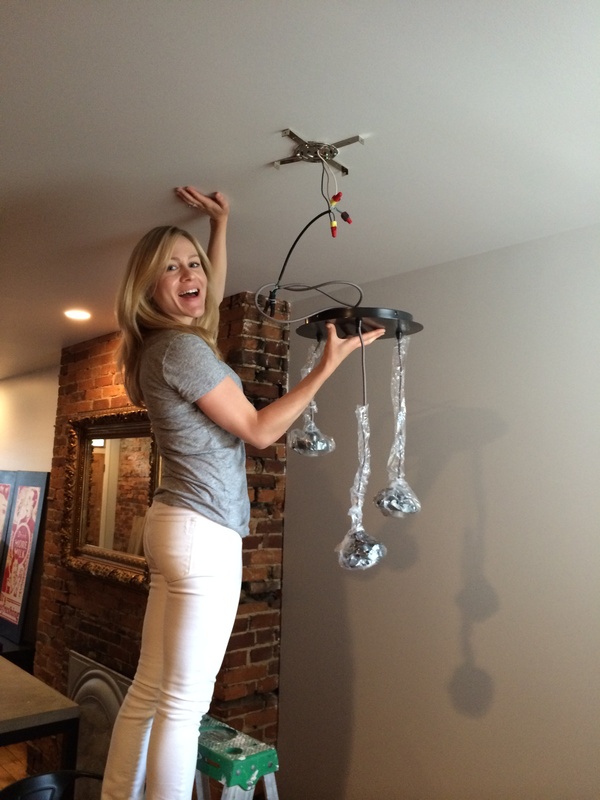 Our 3 glass jar chandelier is coming together…can’t wait until it’s up and finished! → Mark only electrocuted himself twice! Place looks fantastic. Can’t wait to see that glass jar chandelier! !